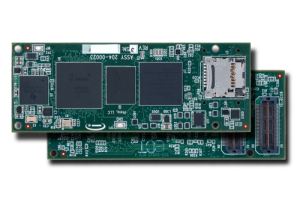 The Atlas-I-LPe™ is a low power, small form factor processing module featuring the Texas Instruments OMAP processor and the Xilinx Spartan-6 FPGA. The OMAP architecture consists of an ARM Cortex™-A8 processor core and an optional Texas Instruments TMS320C64x+™ Digital Signal Processor core in a single device. The Spartan-6 FPGA is an advanced low power FPGA with hardened DSP blocks and SRAM blocks enabling additional high-speed signal processing. 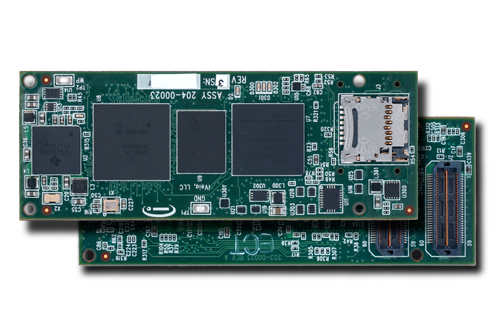 The Atlas-I-LPe module has an ARM Cortex -A8 running up to 1 GHz coupled with a low-power Xilinx Spartan-6 LX16 FPGA. The Spartan-6 provides easy glue-less physical interfaces, flexible ARM peripheral expansion, and co-processing capability.